Tïjonïk 18 (Unit 18) Le upa wo’ch (My family) – Chqeta'maj le qach’ab’al K’iche’! Next Next post: Tïjonïk 19 Chaq’aluj le ne’! In this lesson, we will learn about the basic family relationships. 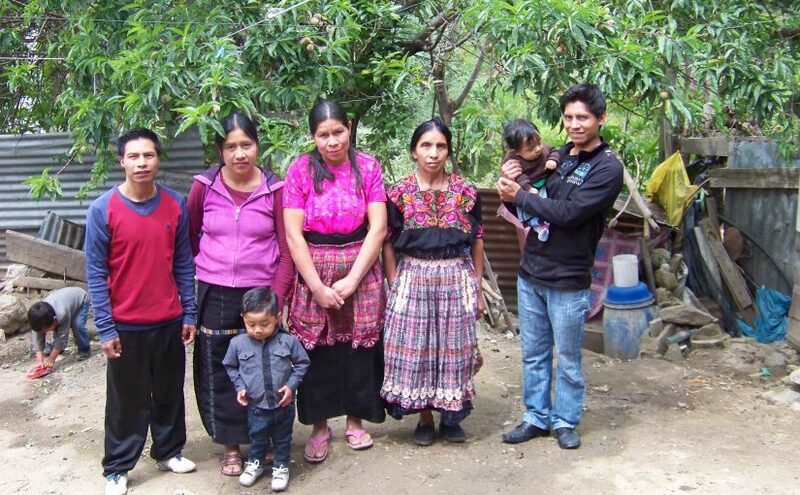 In this video, Nela and Ernesto talk to us about their families. Read the following phrases. They are based on the information provided in the video and the family tree. Le umam le al Nela are le a Xtu’p. Le rachajil le al Nela are le a Ernesto. Le utat le al Nela are le a Wel. Le unan le al Nela are le al Xe’p. Le ral ala le al Nela are le a Jose Manuel. Jose Manuel is Nela’s son. Le uxb’al le al Nela are le a Xwan. Le uchaq’ le al Nela are le al Xe’p. Xe’p is Nela’s younger sister. Le rixoqil le a Ernesto are le al Nela. Le uk’ajol le a Ernesto are le a Jose Manuel. Jose Manuel is Ernesto’s son. Le utat le a Ernesto are le a Chep. Le unan le a Ernesto are le al We’l. Le ratz le a Ernesto are le a Wel. Wel is Ernesto’s older brother. Le ranab’ le a Ernesto are le al Talin. E-alaxik family member; people that are “born with you”, siblings. La k’o awixoqil/awachajil? Jas ub’i? Jas ub’i le anan? Jas ub’i le atat? La k’o le axb’al/awanab’? Jas ub’i? Janipa le alaxik e k’o pa le awo’ch? La k’o le awati’t? La k’o le amam? Jas kib’i?